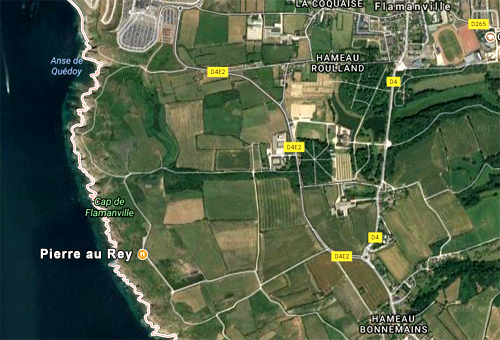 The Normandy west coast cliffs have commanding views over the sea to the Channel Islands. These steep cliffs are some of the highest in Normandy and landing by boat would be impossible. But thousands of years ago the cliff tops became part of an important settlement for the local people. On these cliff edges they could survey the seas and local islands and by looking inland they could see the rich farmland that would be their sustenance. There are the remains of an enormous horse shoe chamber placed on a highly visible promontory and all around It is easy to see their places carved into the landscape even today. Built somewhere between the Neolithic and late Bronze Age the burial chambers mark the edge between the sea and the land. This place carried with it a possible spiritual influence of an edge between two different worlds. This tradition of building visible cliff edge lookouts continued until the 19th Century. One of the latest built in the 19th Century is called “la Semaphore” an old signalling station now a Gite and restaurant. Next to the newest of these construction is the oldest. 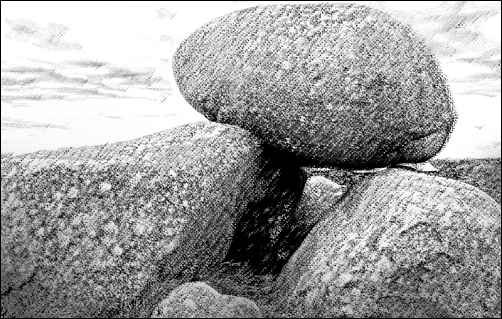 The Dolmen, "Pierre au Rey". At 92 m above sea level these "tripod rocks" have rested here a very long time. 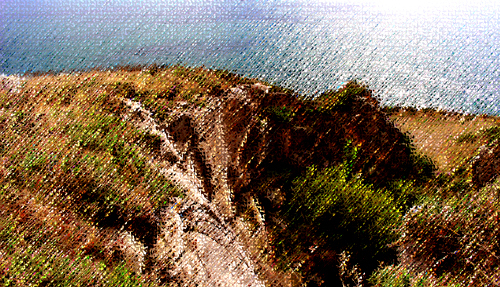 This also has the appearance of a look out a megalithic construction on the highest part of the cliffs. The original construction of the “Pierre au Rey” is from an unknown age but although it has an almost unique in look it does appear to follow late Neolithic to early Bronze Age building patterns. Carved Inscriptions found on the large stop stone were once believed to be Viking but were later found to be ancient Gaulish. In the 19th century, a mast was erected at the top of the highest rock to allow for "semaphoric signals" but eventually the signallers got fed up with clambering up onto the rocks and erected a larger platform 10 metres behind the Dolmen. 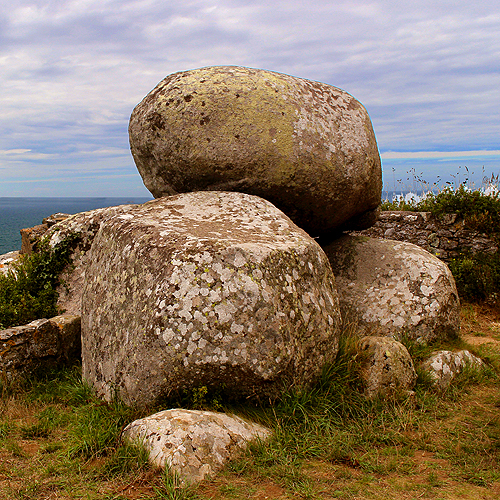 The “Pierre au Rey” Megalith is situated in the garden of the Semaphore and is part of the coast road near Flaminville on the North West Coast of Normandy. Still impassively keeping its secrets to itself thousands of years later, the “Pierre au Rey“ now even comes with a thoughtfully provided picnic table.